The Purpose Christian Academy is scholarship based. With Scholarship tuition is $20.00 and Up weekly. Without scholarship tuition is $125.00 weekly. Call us today for scholarship requirements. Tutions are not prorated for missed days. Please download and complete our registration packet. All spaces must be filled out completely in this enrollment packet. Signature is required where there is an “X”. Current up to date shot records must be turned in on the first day your child attends. Immunization records will be checked before your child can start. If your child is be hind on any immunizations, they will not be allowed to stay; the immunizations will need to be updated for the child to begin attending. If you are having shot records faxed to our school, we will have to receive them in advance of your child’s enrollment date. No child will be allowed to attend The Purpose Christian Preparatory Academy without current immunization records in their file. 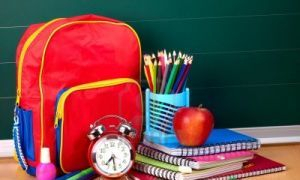 Health statements are required to be signed by a doctor and turned in to The Purpose Christian Preparatory Academy within 1 week of your child’s first day of attendance. Picture I.D. is required to enroll your child at The Purpose Christian Preparatory Academy. Accepted forms of I.D. : Texas Driver’s License or State of Texas I.D. If your child is being enrolled in a 3 year old – Kindergarten class, your child must be in uniform to stay. Please refer to The Purpose Christian Preparatory Academy Polices and Procedures. Thank you!